I went to TIFF last week and am back with loads of pics and talk-about-the-town about movies that will be released in the coming months. I’ll be back soon to write more; just wanted to get my blog up and running again. I’m sad to say that after 11 years as a Book Designer and Book Typesetter, Elance has closed their doors and shifted us over to Upwork.com. 1. Elance was a fine online hiring platform with access to good clients. 2. Elance took an 8.75% fee from our earnings, Upwork TAKES 20%! 3. There are many “clients” on the Upwork platform looking for free and almost-free work. I look forward to working with you on many wonderful books in the coming years! I like movies. I can remember watching the “old” black and whites on our 13-inch TV on Sunday afternoons. Betty Davis, Joan Crawford, Audrey Hepburn, and Humphrey Bogart were no strangers on our little television set. I don’t just like watching movies, I like watching movies in the theater on the “big screen.” There’s something very inviting and familiar to me when I walk into a movie theater. A dream of mine would be to have my own home theater… I know, DREAM ON!!! 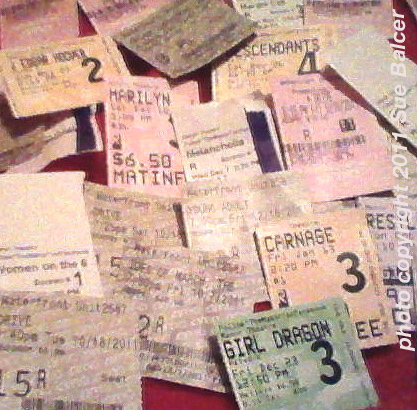 This past year, 2011, I think I went to more movies in a theater within one year than I ever have in my life. While 2010 had the best line up of movies that I can remember: Blue Valentine, King’s Speech, The Kids Are Alright, Toy Story 3, The Social Network, Inception, Black Swan, The Fighter, Biutiful, True Grit, and so many, many more, 2011 offered me the opportunity to stroll up to our local theater a few blocks away or drive down to the 16-screen multiplex theater less than 5 miles away. I could catch a movie for $5.00 most weekdays; $6.50 tops. They are in no particular order other than the #1 spot: “Drive.” I think it will be a long time before a movie comes along that will be able to bump that out of my all-time top 10 films of a lifetime. Feel free to comment on these movies or your own pick of 10. I’m always open to new films and should be able to round up five bucks in the couch cushions. I could EASILY sum it up by saying, “I LOVE this movie” but that wouldn’t be quite enough, I know, I know. This film is expertly directed, cast, acted, and filmed. The lighting, music, and character development are excellent. I went to this movie not knowing the scope of its plot and thinking it was a basic “action film” which would have been fine that night. I was totally mesmerized by this movie, and completely surprised by the level of depth and emotion brought to the screen. The dialogue, or lack thereof, drew me into the movie and was a welcome relief from so many “in-your-face movies.” This is an intelligent movie that gives the viewer credit for knowing what the characters are thinking and feeling without having to spell it out for us. Ryan Gosling is totally amazing and real and every one else in the movie was perfectly cast. Carey Mulligan is perfect as the girl next door-UNhollywood style, and Albert Brooks, Bryan Cranston, and Ron Perlman are perfect. The only thing I didn’t like was the very brutal and graphic violence – it was shocking and not my “cup of tea” but I was able to “handle it” due to the incredible impact this film had on me in that it was a movie that did not overstate anything or put in anything that wasn’t absolutely necessary. Plus, I was quick to turn away at the exact right times and miss the actual gory details. Classic Woody Allen from the 80s with fresh new material. A delightful film, expertly cast with Owen Wilson. I usually can’t get into films that are “extraordinary” or “supernatural” in any way, shape, or form, but this movie draws you into the plot so quickly and thoroughly, you are swept away. I went to this film thinking it was a typical comedy, chick-flick type of movie, and boy was I wrong. It’s a dark comedy about a woman who can’t let of go her high school “true love” no matter how much hers and his lives have changed and moved on. I felt it was really raw and honest, which was a turnoff to some viewers, but for me that made the movie. Charlize Theron is top notch in this portrayal of a 30-something young adult novel ghost writer who just can’t get it right. 4. Martha Marcy May Marlene. I include this movie because it’s about the strangle-hold a cult takes on a person and it was pretty well done. I was a teen in the 1970s when cults were all over the place and I knew people who got drawn into them. I felt the movie could have done a better job by “educating” the viewer about the complexity and brainwashing involved in cults, but that it didn’t tells me it was aimed at those of us already familiar, and that’s okay by me. This movie is strange. And I liked it. Like a lot of Indie films, it’s not heavy on dialogue and that’s a big draw point for me these days. I can’t stand overkill with dialogue especially when an actor starts narrating everything for the viewer. This movie was “slow” in that it’s not action filled, but there is a lot of tension in it, and it keeps you watching to the end. Some of the visuals are quite awesome as well. Another surprise film for me. I went to this movie thinking it was a typical love story gone wrong. It’s well cast and the characterization is so well done that I cared about the people in the movie. And when I care about the people in a film, I care what happens to them. Felicity Jones and Anton Yelchin are very believable and have good on-screen chemistry. Some people feel they’ve seen enough Holocaust movies. I don’t. My “favorite wars” to read about and watch films about are The Civil War and WWII. Glory is my favorite Civil War movie. Sarah’s Key is about the complexity of marriage, children, the German war camps, and most of all, human compassion. This movie was well-made and held my interest throughout, which makes historical learning much easier. I generally don’t like movies about people being sick. I went because Joseph Gordon Levitt is a good actor and I like Seth Rogen, as well as Anna Kendricks (Up in the Air). The movie is about a young man who gets cancer and how he deals with it. I liked the characters, so yes, I cared about what happened to them. Worth seeing. Another type of film I don’t normally go to is sports films: basketball, baseball, football, you name it. I went to this movie because I do follow Brad Pitt’s career to some extent and because I really like Jonah Hill. The movie was surprisingly good. It tells the story of the Oakland A’s general manager Billy Beane and his attempt to put together a baseball club by using computer-generated analysis to draft his players. I was shocked to see how expendable and traded ball players are. Good acting, worth seeing. Giamatti stars as a downtrodden attorney and part-time wrestling coach who schemes to keep his practice from going under by acting as the legal caretaker of an elderly client. His plan runs into trouble when his client’s grandson comes to stay with he and his family and he has to think quick to get himself out of hot water. It’s a great movie about human relationships of all kinds. VERY MUCH worth seeing. I hate to do this, but I think I need to add a 10a or an 11. Again, these movies were not all “the best of the best” but they’re worth seeing. I don’t have a whole lot to say about this film other than it deserves to be on my top 10 of 2011 list of movies. The storyline is great, heart wrenching, and a real tear jerker. But — Spielberg goes way too far over the top with the music and backdrops. We did not need those to feel what we were supposed to feel and they were very annoying to me. That’s it for now. If I have a change of heart, I will update the list, or and/take away from it. HAPPY NEW YEAR and welcome to a new year of HAPPY READING!!! The featured book for this month is one in a series of children’s books I worked on and is called Debt Dangers. I had the honor of designing and typesetting this book that features country music stars such as George Jones, Stephan Cochran, Kris Kristofferson and many others and has a special “Taps” section honoring those who have passed. The book has many photos and interesting stories, some of which you will already know and others that will surprise you. —Teddy Gentry from the country music super group Alabama. “What a great read for anyone who wants to better understand the bond between our Service-members and Country Music Artists-they are often one in the same. As a recently retired Army Combat Veteran, trust me when I say that music truly does bring a little taste of home when you’re deployed to the badlands! 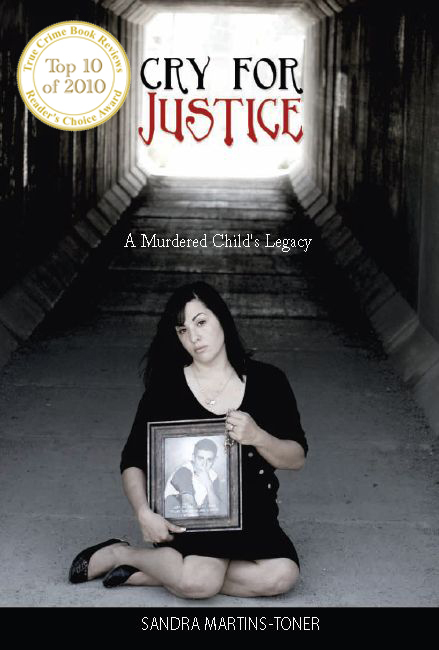 For more information and to purchase this book, CLICK HERE. I had the pleasure of designing and typesetting this book that helps native Chinese professionals and students improve their English pronunciation. Below are some pages from the manual, and a review of the book by David Yontz, that includes a website where you can get more information. 7 Weeks to a Better American Accent for Native Mandarin Speakers- volume 1, published by Sovereign Language Press, is a fantastic resource for native Chinese professionals and students hoping to improve his or her English pronunciation. The series is divided into 16 tracks specifically targeted towards rectifying common struggles that Chinese speakers face when learning how to effectively speak English. The audio delivers helpful speaking exercises designed to improve aptitude and confidence. 7 Weeks to a Better American accent breaks down the basics of American stress patterns, vowels, consonants, and idiomatic expressions in a step-by-step model that allows the user to work at his or her own pace in developing a competent command of American English. Upon successful completion of the seven week program outlined in this audio publication, Native Chinese speakers will have internalized a foundation of basic tools to help them improve business relations, personal interactions, and day-to-day understanding of American English. Recently I had the pleasure of working with Wee Bee books on their delightful book, “read to me bo” about a little boy who loves books. “Bo loves books and stories, but sometimes everyone is so busy they do not have time to read to Bo. What can he do? How can Bo hear the stories he loves so much when everybody is so busy? 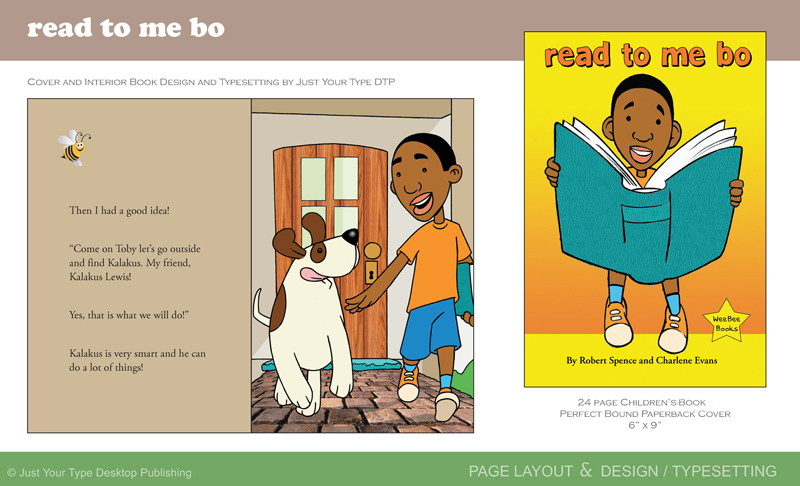 to find out more about “read to me bo” and other wonderful books. into writing this book and this award is well-deserved.